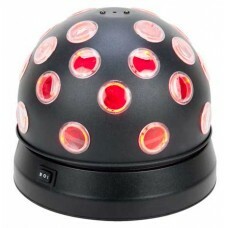 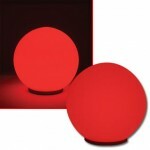 The Mini TRI Ball II is an easy-to-use LED color ball that produces 56 sound activated beams of light. 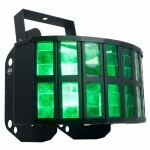 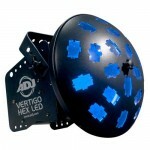 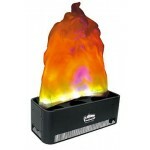 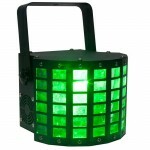 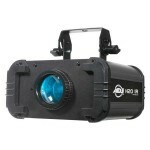 It features two 3-Watt TRI Color (RGB 3-in-1) LEDs that produce 7 exciting colors. 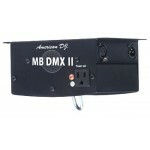 The Mini TRI Ball has a 3-position FX switch to change the effect produced. 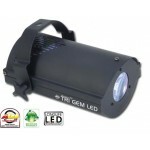 Its light weight, can be run all night with no on/off duty cycle, and produces very little heat or power draw. 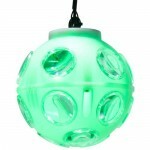 The ball rotates at 15 RPM and has a massive 180-degree beam angle. 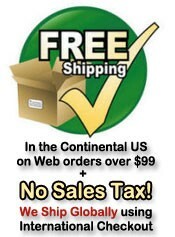 • Weight (per unit): 3 lbs. / 0.96 kgs.